This is the age of the crossover, and these high-riding hatchbacks are everywhere. With its chunky style and decidedly 21st century connectivity, the Mokka X might be just the thing to tempt you away from a Nissan Juke, Peugeot 2008 or Renault Captur. Despite some obvious attractions, there’s too much about the Mokka X that puts us off. In particular, the below-par ride comfort and refinement mean we would recommend you try one of its rivals instead. This engine gives the best combination of price, running costs and driveability, and there’s no need to buy a dearer trim level. 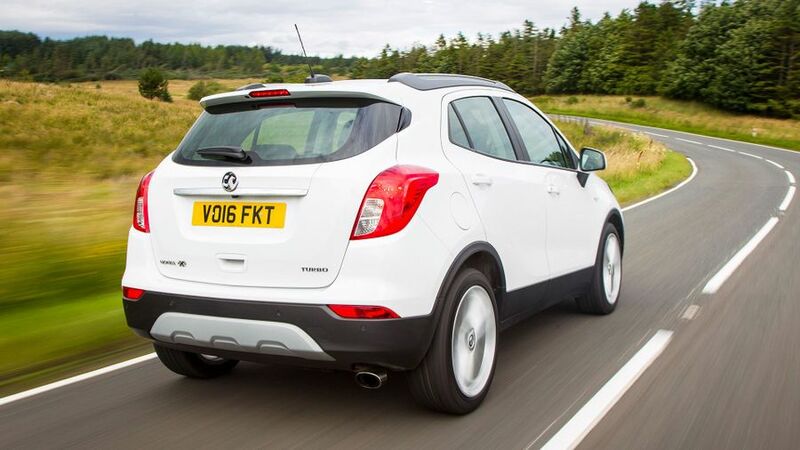 An official average of just over 70mpg is among the best in the Mokka X’s class. Unless the weather in your neck of the woods dictates otherwise, four-wheel drive is a needless expense, as is this most powerful diesel engine. 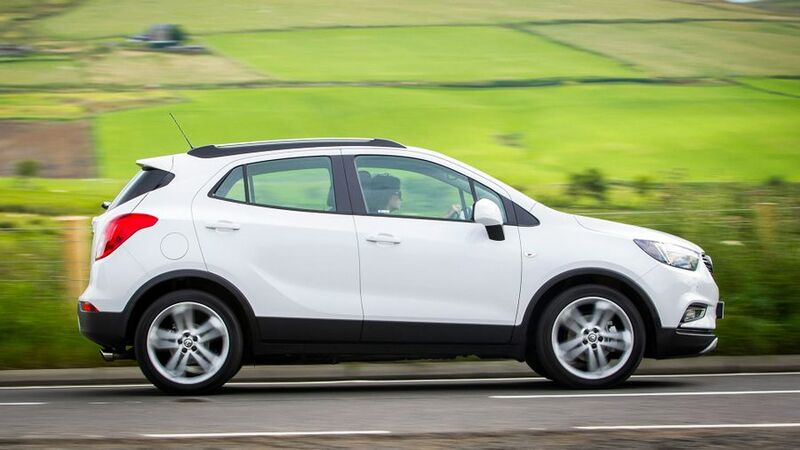 Interested in buying a Vauxhall Mokka X? This is an area of the market where style and image are massively important. What distinguishes the Mokka X is that it looks rather more rugged than some of its rivals, with plenty of 4x4-style plastic mouldings on the body. Every model also comes with alloy wheels, skid plates and roof rails, and the door mirrors and door handles are finished in body colour. Step up to the top Elite trim, and you also get chrome-effect trim on the side windows, alloy-effect door sill covers, and tinted rear windows. However, it’s worth noting, if you want your Mokka X painted anything other than Royal Blue, you’ll have to pay extra for one of the premium paint colours. The Mokka X doesn’t offer the same level of personalisation as some of its rivals, either. If you want contrasting roof colours, or coloured inserts here and there, you’ll need to choose a different car. The Mokka X’s interior may not look especially modern, but it’s a nice touch that every model has a colour touch-screen at the top of the dashboard to control the infotainment system. However, there is some properly cutting-edge stuff and it’s accessed through the three small buttons in the roof. 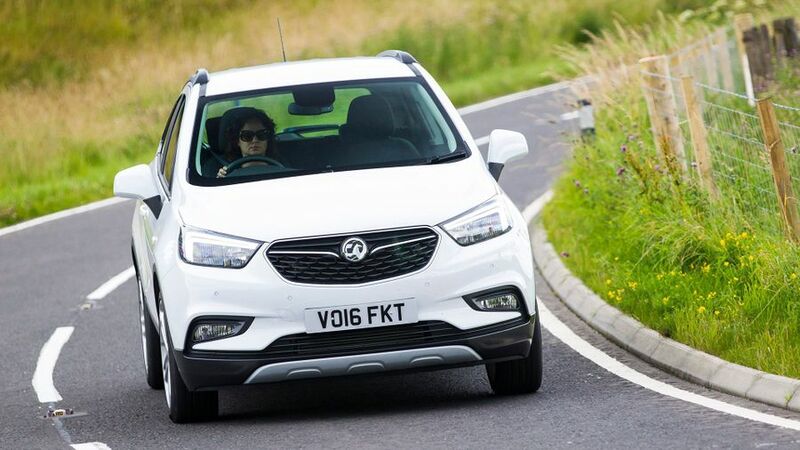 They work Vauxhall’s OnStar service, which gives you a WiFi hotspot, as well as 24/7 access to an adviser, who can answer all sorts of queries, from finding the nearest fuel station, to diagnosing problems with the car. For the most part, the Mokka X’s cabin is all solidly built, but there are a few disappointing details: the heater controls feel flimsy; and there are too many cheap-feeling plastics on show for our liking, especially around the glovebox and on the centre console. On the positive side, though, the high driving position gives an excellent view to the front, and there’s plenty of room, even for a six-foot driver. 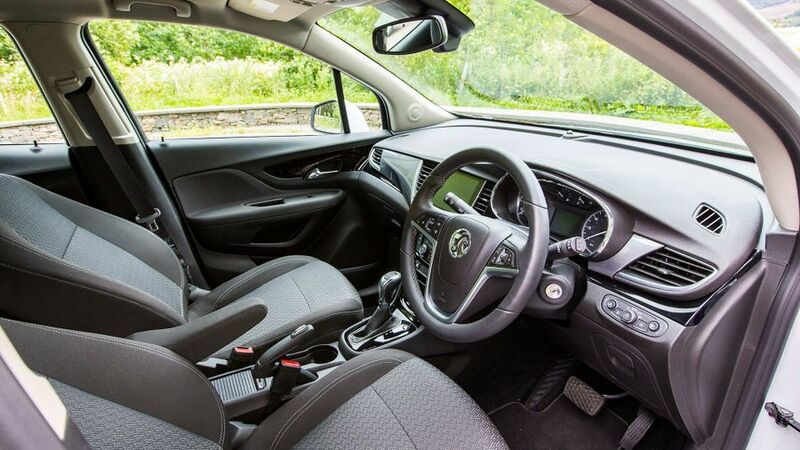 The Mokka X is certainly one of the more spacious cars of its type, and you’ll easily fit a couple of adults in the back, as long as the front seats aren’t pushed all the way back. However, because the centre seat is so narrow, it won’t be any more than a couple. The boot is good, but not brilliant. We like the usefully practical shape, but several rivals have bigger capacities. While it’s nice that you can split and fold the rear seats to expand that space, it’s annoying you can’t fold them fully down when the front seats are pushed back. The larger section of the rear seat back is quite heavy, too, and some people may find it awkward to put it back in position when they want the car back in five-seat mode. Despite its shrunken-4x4 looks, the Mokka X’s natural hunting ground is the urban jungle. So it’s all the more disappointing that this isn’t a very pleasant thing to drive around town. The ride is the biggest problem, being too firm too much of the time, and the car really thumps and bumps its way around. At least the light steering makes the car easy to manoeuvre, but the thick windscreen pillars restrict your view, as do the small window and big body panels at the back. Sadly, things get no better when you head out of town in search of a bit of excitement or adventure. That firm ride is still a big issue (although at least the car’s body doesn’t roll too much in bends), the light steering feels vague – not what you want when the steering is quite quick to respond – and there’s too much road- and wind-noise on the motorway. Truth is, not many cars in this class are all that good to drive, but the Mokka X is a disappointment. We’ve only driven one Mokka X so far, using the cheaper of the two 1.6-litre diesels. It gives a decent turn of speed, but is too noisy, which is something you really notice around town, especially as you accelerate up through the first three gears. Instead, on the evidence of the previous Mokka (which mechanically, is all but identical to this car), we’d suggest you save a few quid and go for the 1.4 Turbo petrol engine. It pulls well across the rev range (even if doesn’t feel quite as strong as it looks on paper) and averages more than 40mpg. 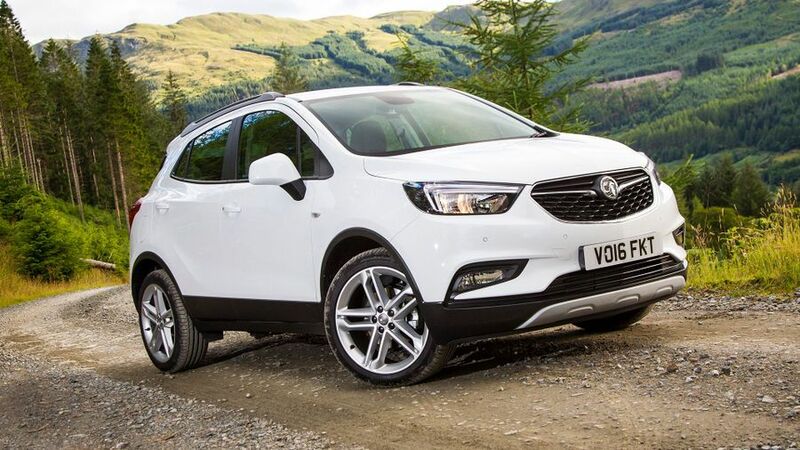 The Mokka X is one of the more expensive cars of its type to buy, and the Vauxhall badge will mean its residual values are no better than average. Cost-conscious buyers will immediately be drawn to the diesel-engined models, which promise economy of around 70mpg. Those figures are competitive, rather than class-leading. To keep your costs down, we’d avoid the optional automatic gearbox with the diesel engine, as it makes the car a fair bit slower and thirstier. Likewise, we wouldn’t bother with four-wheel drive. Unless you suffer from particularly wild weather for much of the year, the cheaper front-wheel drive models will be more than good enough. 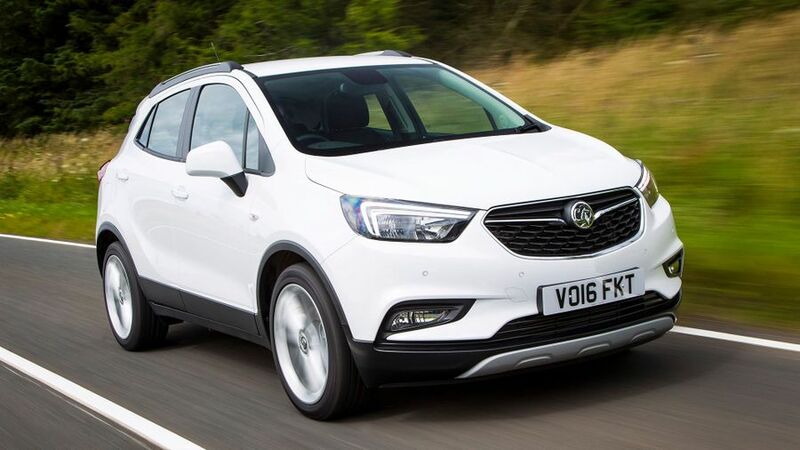 Vauxhall sits just below the middle of the table in Warranty Direct’s manufacturer standings, but sadly there is no data on the Mokka – the Mokka X’s predecessor – which shares much of its mechanical parts with this newer car. Perhaps that’s just as well, as Mokka owners on our website give the car decidedly mixed reviews for reliability. You’ll find six standard airbags in any Mokka X, along with an Electronic Stability Programme, ABS and a tyre pressure-monitoring system. Plus, there’s the OnStar system that can provide help in an emergency. There are also several items notable by their absence. You can’t specify, even as an option, things like Autonomous Emergency Braking, Lane Departure Warning or Blind Spot Assist. The Mokka X hasn’t been crash tested by Euro NCAP, but the Mokka scored the full five stars when it was tested. However, that was back in 2012, when the standards were not as high as they are now. The most basic Mokka X comes with Active trim, but ‘basic’ really isn’t the right word. 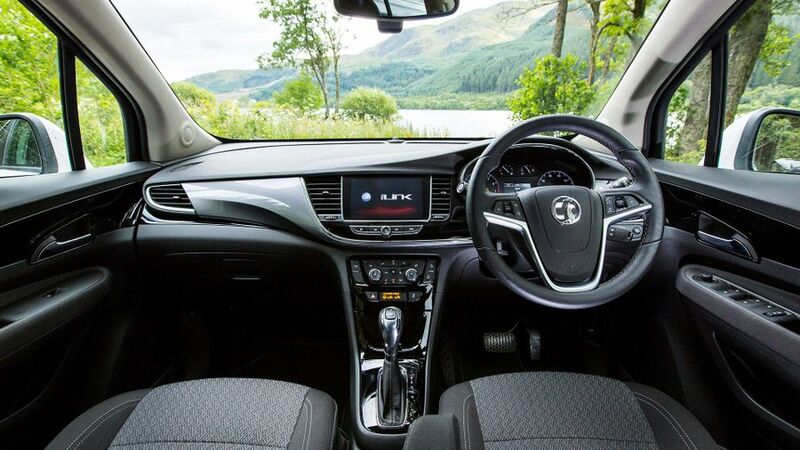 It has Vauxhall’s OnStar system, a 7.0-inch touch-screen, Bluetooth connectivity and dual-zone climate control. Step up to Design Nav trim and it adds a bigger touch-screen and sat-nav, which makes it our favourite trim level, but what’s odd is that despite the extra equipment, its list prices are a couple of grand less. Why? Design Nav is aimed at business users, whereas Active is aimed at private buyers and is available with much better finance offers, which could make it cheaper to buy overall. Beyond that, Elite trim comes with some extra leather trim and sports seats, as well as some extra bling outside, but it’s not worth the extra. Among the options worth considering is the tilt-and-slide sunroof, but we think the very affordable rear-view camera is a must-have. For those of you with what marketing types call an ‘active’ lifestyle, there’s also a wide range of accessories. This includes tow bars, roof boxes and cargo nets, as well as special carriers for bikes, kayaks, skis and surf boards. The Mokka X may have some very obvious shortcomings, but it’s not without its attractions. There’s its rough-and-tumble styling, for a start, but the good standard equipment, along with the excellent connectivity, will be enough temptation for some.